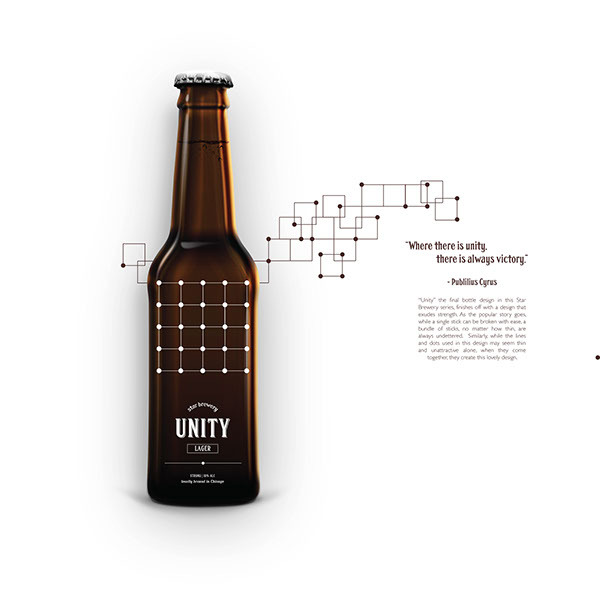 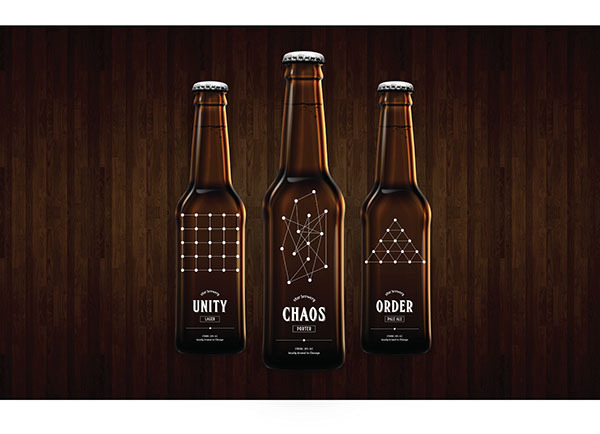 "Order | Unity | Chaos" are a set of 3 beer label designs created as a part of a project for my Graphic Design class at the School of the Art Institute of Chicago. 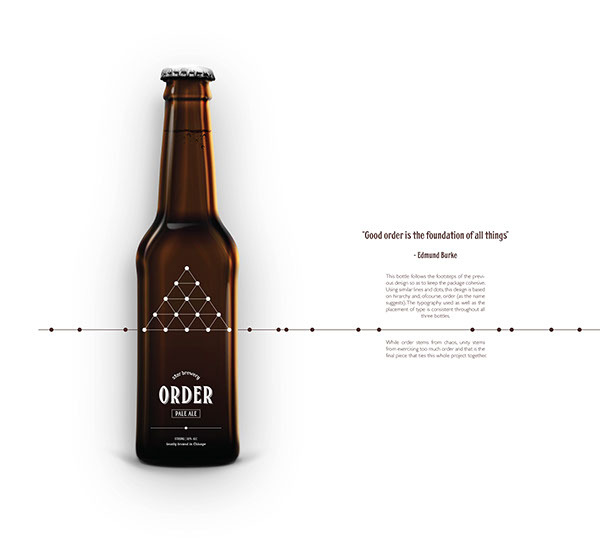 Using the most basic graphic elements, the line and the dot, I have created the alongside illustrations so as to render the 3 words in their simplest form. The design aims to combine old school typefaces with contemporary elements so as to create a clean, crisp, and fresh look.